Multiple storefront crashes in the Providence, Rhode Island, area caught the eye of WJAR-TV reporter Katie Davis recently — and her resulting report was excellent. 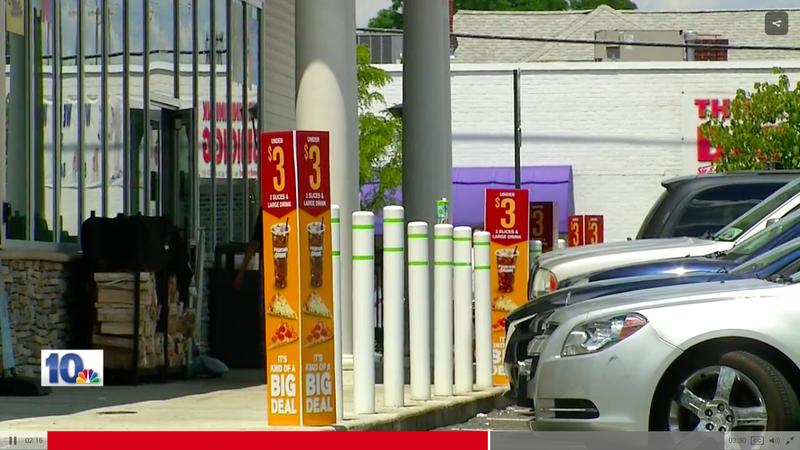 Davis's piece (NBC 10 I-Team: Epidemic of storefront crashes uncovered) aired June 30 and focused on bollards as a sensible way to help prevent the damage to property and lives that these crashes cause. An interesting Twitter conversation ensued with some viewers who felt the focus should be more on drivers' behavior. Davis (@NBC10_Katie) replied that driver behavior aside, bollards can help stop a car. Davis explained that parking space wheel stops make the risk of a storefront crash even worse, by launching a vehicle up and forward — which so many property owners don't seem to understand. She also highlighted the tragic 2010 crash at a Cumberland Farms convenience store in Chicopee, Massachusetts, that took the life of Kimmy Dubuque. Davis reported that Cumberland Farms has since installed bollards. The company settled the family's wrongful death suit earlier this year.